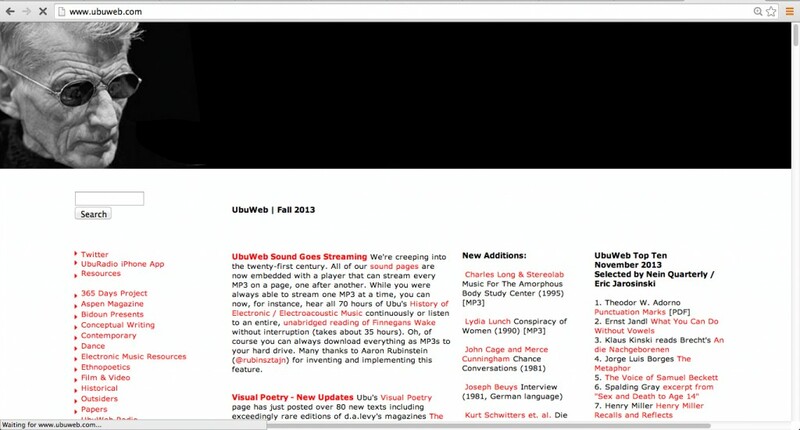 Ubuweb was founded in response to the marginal distribution of avant garde material (cinema-art sound and mp3 files). It is an online platform where hundreds of videos and films can be viewed free of charge. 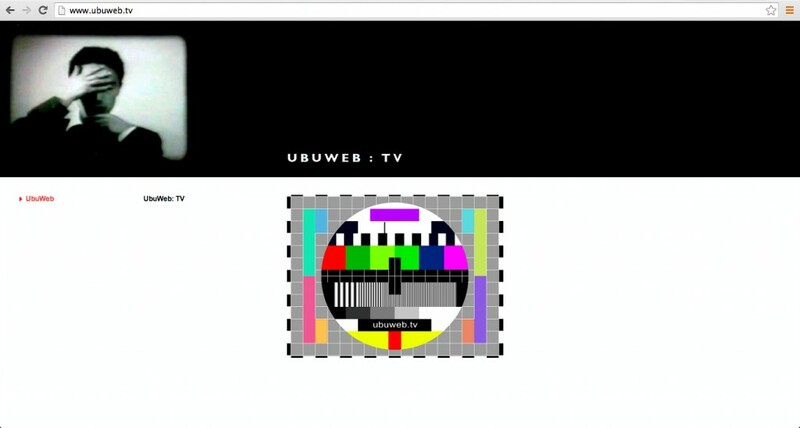 Material is provided by film makers or is placed online by UBU web, without artistsâ€™ permission. To give free, online access to hundreds of films and videos. Anyone can view hundreds of films and videos online.